If you’re suffering from neck pain, relief is likely your number one wish. Fortunately, comfort does not have to be just a dream as there are several neck pain treatment options out there. Neck pain patients can resort to medications such as over-the-counter pain relievers or anti-inflammatory drugs. Massage therapies, surgeries, or interventions may also work. The bottom line is that while most known treatment methods provide relief, they all fail in addressing the underlying cause of neck pain. Neck pain accounts for many of the cases we have successfully handled at Advanced Spinal Care. Upper cervical chiropractic care specializes in healing neck pain and injuries and focuses on addressing the root cause of your neck pain, rather than just chasing around symptoms. The atlas is the uppermost vertebra in the spine and is responsible for most of your head’s movement. Because it’s freely moveable, it is susceptible to misalignment. When the atlas gets skewed from its normal position, it generates issues throughout the neck and the rest of the spine such as inflammation and muscle strain. If you are suffering from chronic neck pain, then an atlas misalignment may be the culprit. 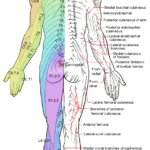 Our gentle and accurate adjustments will help to restore normal alignment. Once the vertebrae in your neck can move properly, then pain and discomfort will be reduced, and in most of our patients, even eliminated. Reach out to us and let us help you address the root cause of your neck pain naturally.